'To dismiss a work merely because it does not fit into the critics' category of what constitutes modernity is a fatal narrowing of vision' - from Edmund Rubbra's 1956 article Letter to a Young Composer. That quote comes from a book that I have a feeling will be making more appearances here. BBC Music in the Glock Era and After is a memoir by the former BBC producer Leo Black who is also author of the excellent study Edmund Rubbra, Symphonist. What makes Leo Black's new volume on BBC Music so remarkable is the sheer breadth of music that it embraces. As well as making an eloquent case for Rubbra's music the text ranges from a 1961 performance in Vienna of Schoenberg's uncompleted oratorio Die Jakobsleiter to substantial appreciations of Luigi Dallapicolla, Hanns Eisler, Roberto Gerhard, Franz Schmidt and Hugh Wood. All this plus wonderful line drawings, as seen below, by Milein Cosman who is the widow of Hans Keller and is known for her portraits of Britten, Stravinsky and Furtwängler. 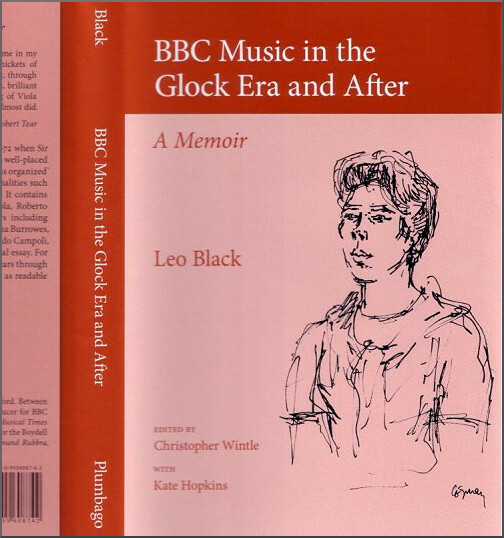 BBC Music in the Glock Era and After is a scholarly, readable and generous memoir that firmly endorses the Zen viewpoint that 'Everything in my shop is the best'. 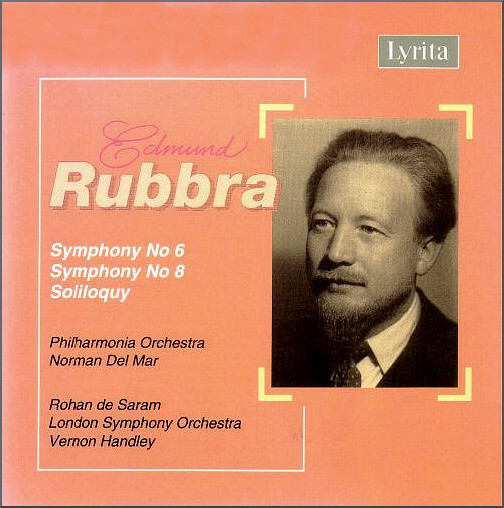 * Lyrita's recording of Edmund Rubbra's Symphonies No. 6 (1954) and No. 8 (1968) is up there in my list of fifty discs to hear before you die. The original 1982 LP release of these two remarkable symphonies (No. 8 is subtitled Hommage à Teilhard de Chardin) opened my ears to this shamefully neglected composer. If any confirmation is needed of the truth of the composer's words from 1956 it is the glorious music that plays from the Lyrita CD transfer as I write. My header image is from the CD inlay which is one of the rare times when the CD redesign bettered the LP artwork. (The similarly underrated Norman del Mar conducts the Philharmonia Orchestra in the symphonies, the CD transfer adds the composer's Soliloquy for Orchestra with the Sri Lankan cellist Rohan de Saram and Tod Handley conducting the LSO). These wonderful interpretations are still in the catalogue as a CD and MP3. Not only is the writing for orchestra quite magical, but the 1972 Decca engineered sound is also a revelation. (The excellent CD transfer does not give details of recording dates, location or production team which is a surprising omission). To hear the sound at its best the CD format is definitely the one to go for, unless, like me, you are lucky enough to have a mint vinyl pressing of the original LP release. More Rubbra (and much else) in The Year is '72. RM, thanks and now corrected. Pliable, I heartily agree with your assessment of Rubbra, but I know few who share this enthusiasm. It's thoughtful music with such mature grandeur that I wonder if our soundbite age has a place for music like this anymore. John, I have a feeling that pretty soon new compositions will be limited to a maximum length of 140 notes including rests. Would that be a Twiccata?